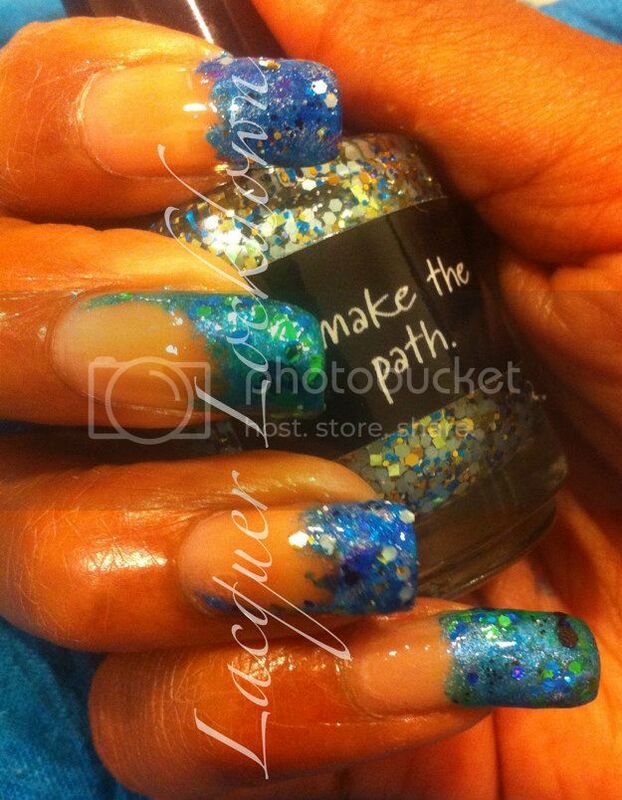 Lacquer Lockdown: Llarowe Style: Under Da Sea..
Dollish Polish Slippery When Wet & Go Luigi! Look at all the holo goodness from CrowsToes and Dollish Polish. Leah Anne the lady behind this company is such a sweetheart! We've shared a mutual health burden that led us to some shared sympathy and laughter. Honestly, I'm uber excited to see both her blog and new website! 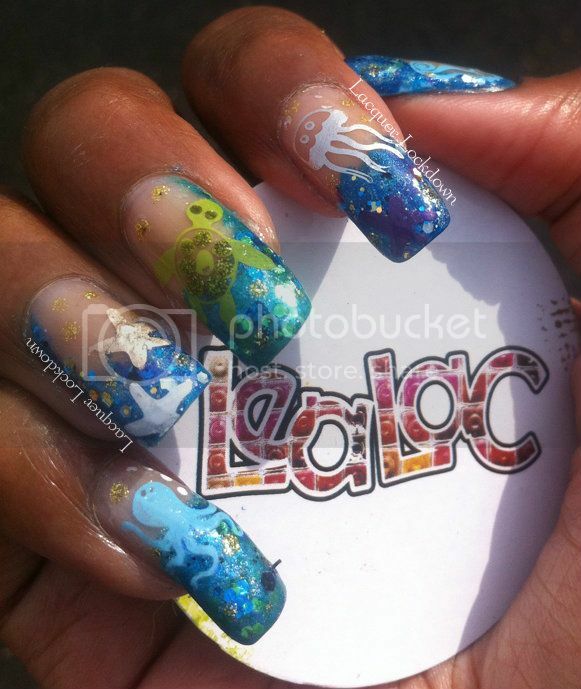 Anyhoo, I created this mani using one of the adorable 10 small stamping plates offered by LeaLac a subsidiary of Llarowe and several polishes i.e. 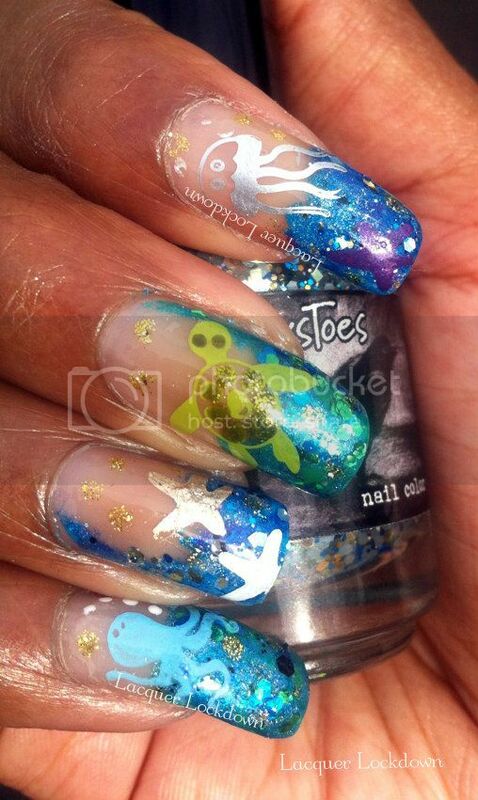 CrowsToes, Dollish Polish and A-England, also carried by Llarowe (click links above to view). I chose this plate because it's probably one of the most unique plates I've seen of the many I own, and it's been calling out for a good mani for a bit now. And after this mani yeah um I need ALL the plates now! I could seriously eat this little octopus up! So freaking cute!!! WOW !! 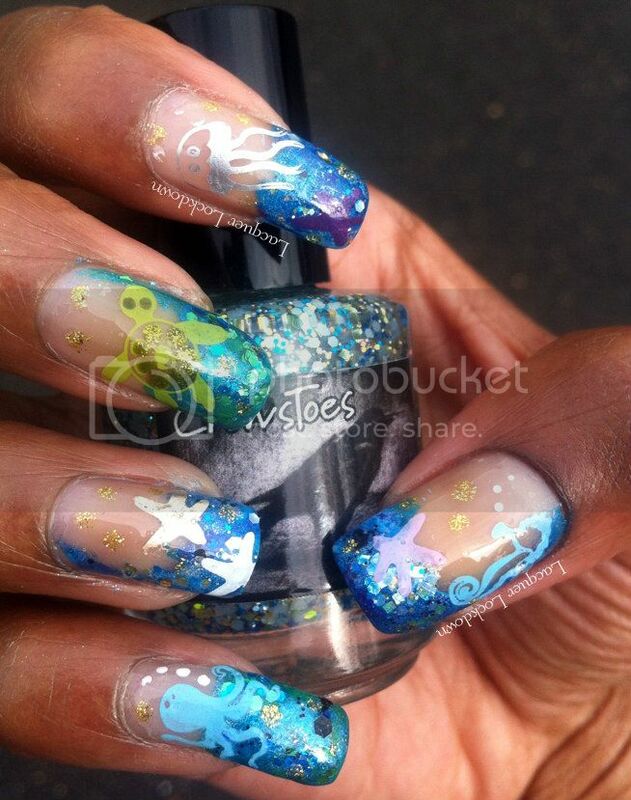 That's just an awesome mani !! Did you have to spend a lot of time doing it? It's so complex :) Good luck !!!!! Vicky my love you are ALWAYS ALWAYS so supportive! Thank you!! This was actually a ridiculously quick one. The french tips created themselves in about 45mins and I can stamp and gussy up pretty quickly these days. So ball park an hour? The halloween one I did was waaay longer! Gosh..this is just so awesome! The colors, the drawings, the glitter. Perfect! Wow you're so talented! That looks amazing! These are adorable! I love love love this design! You created a masterpiece and it is adorable! Thanks so much my dear and your post is live on the blog. You rock!! Yup yup, this is AMAZINGLY cool!